Thayer Public Library maintains a collection of Municipal Documents relating to various projects and businesses in Braintree and surrounding communities. The collection includes public information in book or CD format. Records are retained for three years. 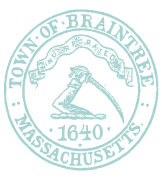 Other municipal resources include the Braintree Town Reports dating back to 1640, the list of residents dating back to 1888. These materials are held as part of the library’s Historical Collection. Current Braintree documents such as the town’s Master Plan, Hazardous Waste Plan, Laws, and Comprehensive Emergency Management Plan are held at the Information Desk. More information about the town is available on the Braintree Information page. Public notices about open meetings are posted on the Community Bulletin Board on the Lower Level of the library.